You must obtain a license before you can become a member of OPPQ. 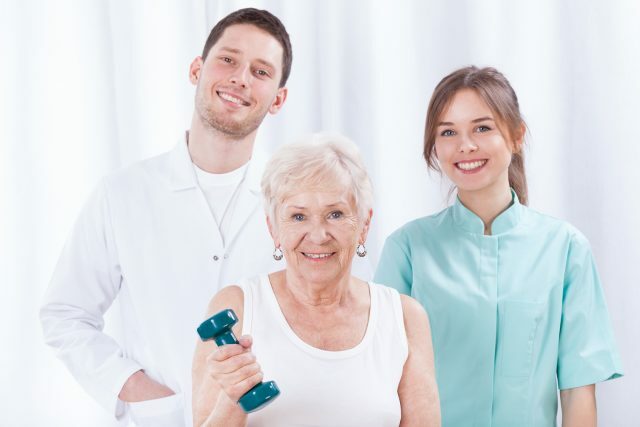 A license demonstrates that you have fulfilled the basic requirements to practice as a physiotherapist or physical rehabilitation therapist in Quebec. OPPQ-licensed practitioners must register on the membership roll annually to be able to use these titles or practice the profession. The membership roll is a list of all OPPQ members in good standing. Applicants must fill out a registration application form and submit it with the registration fee. The registration year starts on April 1 and ends on March 31. You must hold a degree that is recognized by the government and entitles you to obtain a license from OPPQ (art. 1.14 or 2.12). You must have been approved for diploma and training equivalency as set forth in the Regulation respecting the standards for equivalence of diplomas and training for the issue of a physiotherapist’s permit or a physical rehabilitation therapist’s permit. You must be legally authorized to practice the physiotherapy profession outside Quebec as set forth in a regulation. Anyone who holds a master’s in physiotherapy from a Quebec university or a diploma in physical rehabilitation techniques (physiotherapy techniques) under the Regulation respecting diplomas issued by designated educational institutions which give access to permits or specialist’s certificates of professional orders, can obtain either a physiotherapy or physical rehabilitation therapy license and register with OPPQ. How do I obtain a physiotherapy license in Quebec? An official copy of your academic transcript or a supporting diploma, as the case may be Note: If your university has not yet issued your diploma, we will accept a confirmation of completion issued by the physiotherapy program director. The head of the program must send the confirmation directly to the Admissions Department.Once you receive your final transcript or diploma, you must send a copy to OPPQ to complete your application. You application must be sent by mail or email to the OPPQ Admissions Department. You may also fax the documents if you send your passport photo by mail or email and pay by credit card. Once the Admissions Department has verified the documents, the OPPQ secretary will issue your license. How do I obtain a physical rehabilitation therapy license in Quebec? An official copy of your academic transcript or a supporting diploma, as the case may be Note: If your college has not yet issued your diploma, we will accept a confirmation of completion issued by the physical rehabilitation techniques (physiotherapy techniques) program director. The head of the program must send the confirmation directly to the Admissions Department. Once your receive your final transcript or diploma, you must send a copy to OPPQ to complete your application. What types of licenses does OPPQ issue? OPPQ issues three types of licenses: regular licenses, temporary restricted licenses, and temporary licenses. These licenses are issued to both categories of OPPQ professional: physiotherapists and physical rehabilitation therapists. Temporary restricted licenses are issued to any applicant who needs to update their skills to obtain equivalency. The board of directors will set the applicant’s practice conditions. Temporary licenses are valid for one year. They are issued to applicants who are declared qualified to practice their profession, but who do not meet French language knowledge requirements. This license can be renewed with authorization from Office québécois de la langue française (OQLF). What are the possible statuses? All physiotherapy professionals with a license may register with OPPQ in one of the following membership categories: regular member, retired member, or member outside Quebec. Regular members have the right to practice physiotherapy anywhere in Quebec. They pay annual membership fees and other OPPQ dues as well as contributing to professional liability insurance. Note that OPPQ offers a 50% reduction on membership fees if the member was unable to work at least six months of the year due to illness or maternity/paternity leave. Members who are studying full time can also request a 30% reduction while still being able to practice. Retired members are 60 years or older and have stopped working or volunteering as a physiotherapist. Members outside Quebec practice physiotherapy exclusively outside Quebec. I graduated from a Quebec institution over three years ago and never applied for a license in Quebec. How do I obtain a license? You must apply for a license to practice from the Admissions Committee under the Regulation on OPPQ internships and professional development courses. To learn more about the procedure, visit the Resuming practice page. To learn more about regulations and other aspects of your future profession in Quebec, visit the Member section of our website. For any other questions, please email admissions assistant Julie Desrosiers at jdesrosiers@oppq.qc.ca. I have a degree in physiotherapy from a Quebec university. How long will it take to obtain my license once I have submitted all the documents for my initial registration with OPPQ? The response time varies depending on the number of new registrations received. We consider your registration a priority. If your application is complete, it will be processed within ten days of receipt. I have a degree in physiotherapy from a Quebec university. Can I get a certificate for manual therapy and if so, how? Master’s in physiotherapy from Université de Sherbrooke, 2016 and subsequent graduates who have completed the course “formation sur les manipulations articulaires” (PHT 815). Graduates who wish to receive a training certificate from OPPQ are invited, once they are members, to click on the Règlement sur les manipulations et demande d’attestation section of My Account. What is the employment situation like in Quebec? The employment situation in Quebec changes from year to year. It depends on the need for services in different regions of Quebec as well as government priorities for the public sector workforce. Physiotherapists and physical rehabilitation therapists can work in both the public sector, which is financed by the government (hospitals, specialized facilities), as in the private sector (private practice or private clinic). I would like to join the OPPQ. What fee category should I choose on the fee notice if I haven’t found a job yet? If you are looking for work, we suggest you choose the category “Regular member in the public/private sector” with OPPQ insurance. That way, you are free to work in the public or private sector. When renewing your annual contribution in February or March, you can choose the category that best reflects the type of job you have. Can I get my membership fees refunded if I was not working full time? There is no contribution category for temporary or part time work. The registration year starts on April 1 and ends on March 31 each year. How will I receive my license number? You will receive your license number by mail. Later, you will receive an envelope in the mail containing documents for you to consult, your license to practice. Do I need to have passed the government’s French exam to obtain a license? The official language of Quebec is French (Charter of the French Language, Art. 35). If you have studied at an English vocational college or university in Quebec, you must provide proof of your knowledge of French in compliance with the requirements of Office québécois de la langue française (OQLF) before obtaining a license. The steps involved in obtaining a license to practice physiotherapy in Quebec vary depending on where you earned your degree and whether or not you hold a regular license to practice physiotherapy outside Quebec. I have a valid license to practice physiotherapy in Canada. Can I obtain a license to practice in Quebec? All Canadian physiotherapy regulatory bodies support the right of physiotherapists to work anywhere in Canada. In order to comply with the Agreement on Internal Trade, an agreement on measures to support workforce mobility was reached. This agreement establishes the conditions for recognizing physiotherapists legally authorized to practice in a given provincial jurisdiction. In Quebec, this agreement is implemented by a regulation in the Professional Code. You can therefore obtain a license by submitting an application for a license to practice physiotherapy and first-time registration (in french only) and attaching a letter of good standing from the competent authority. If you do not have a valid license to practice physiotherapy, get your papers in order with the competent authority before applying for a license to practice. I have a degree in physiotherapy from Canada, but I never obtained a license. How do I obtain a license in Quebec? Once OPPQ has approved your equivalency application, you can fill out the Quebec physiotherapist registration form and fee schedule to obtain a temporary restricted license. To learn more about temporary restricted licenses, please consult the application guide on the conditions governing use of a temporary restricted license in Quebec for physiotherapy graduates from a recognized Canadian university outside Quebec offering physiotherapy degrees equivalent to the recognized degree giving access to a physiotherapy license (in French only). Proof you have passed the clinical component of the Physiotherapy Competency Examination from the Canadian Alliance of Physiotherapy Regulators. Applications must be mailed or emailed to the OPPQ admissions department. You may also fax the documents if you send your passport photo by mail or email and pay by credit card. For more information on how to apply, please consult the Reference guide for admission applications (in French only). To learn more about regulations and other information about your future profession in Quebec, please consult the Member section of our website. For all other questions, please email admissions assistant Julie Desrosiers at jdesrosiers@oppq.qc.ca. Do I need to pass the Quebec government’s French exam to obtain a license? If you have studied at an English-language college or university in Quebec, you must provide proof of your knowledge of French in compliance with the requirements of Office québécois de la langue française (OQLF) before obtaining a license. In all other cases, you must obtain a certificate issued by Office québécois de la langue française (OQLF) or hold a certificate defined as equivalent by the Government. Other French exams, such as the Test de français international (TFI), are not accepted for obtaining a regular license. Physiotherapists and physical rehabilitation therapists can work in both the public sector, which is financed by the government (hospitals or specialized centers), as in the private sector (private practice or clinic). I would like to join. What fee category should I choose on the fee notice if I haven’t found a job yet? If you are looking for work, we suggest you choose the category «Regular member in the private/public sector» with OPPQ insurance. That way, you are free to work in the public or private sector. When renewing your annual contribution in February or March, you can choose the category that best reflects the type of job you have. The Ordre professionnel de la physiothérapie du Québec (OPPQ) is receiving more and more applications from candidates trained candidates outside of Canada who are seeking to obtain a license to practice physiotherapy. To practice as a physiotherapist (Pht) or physical rehabilitation therapist (P.R.T) in Quebec, you must file a diploma and training equivalency application. This section does not apply to massage-physiotherapists who did their training in France. For more information, click here. What is physiotherapy and what do physiotherapists and physiotherapist assistants do? Physiotherapy is defined in Québec as a form of front-line healthcare concerned with prevention and health promotion and the assessment, diagnosis, treatment and rehabilitation of physical dysfunctions and disabilities affecting the nervous, musculoskeletal, and cardiopulmonary systems. There are two physiotherapy professions in Quebec that are regulated by the Quebec Professional Code, which requires practitioners to obtain a license to practice. The OPPQ issues licenses to applicants who meet the necessary criteria. Physiotherapists and physical rehabilitation therapists are the only physiotherapy professionals recognized by the Quebec professional system. To hold one of these titles, you must be a member of OPPQ. Physiotherapists hold a Master’s degree. They deal with all aspects of physiotherapy and may be consulted directly, meaning the client doesn’t need a referral or medical prescription. Physical rehabilitation therapists have a three-year college-level degree. Before intervening with a client, they need to obtain an assessment from a physiotherapist or a medical diagnosis and relevant information on the client’s condition. The physical rehabilitation therapist profession exists only in Quebec. What do I need to do to obtain an equivalency? To have your diploma and training recognized as equivalent, you must submit several documents to OPPQ and pay the $747.34 application fee (taxes included). The application will be analysed by the OPPQ Admissions Committee based on your education and experience in physiotherapy. Once the Admissions Committee has made its recommendations, the application will be submitted to the OPPQ Executive Committee, which will determine whether to grant the equivalency, in whole or in part, or refuse it, and also decide what conditions must be met to obtain the equivalency, such as refresher training. The applicant will be notified of the decision. How do I apply for equivalency? An overview of your professional experience as a Pht or P.R.T. Your application must be sent by mail or email to the OPPQ Admissions Department. How is my equivalency application assessed? The OPPQ Admissions Committee analyses equivalency applications. The committee meets four to five times a year. There are two steps to the analysis: first your educational background is evaluated, then your professional experience is assessed. Your education is evaluated based on the diplomas you submit, your student records, and the descriptions of courses you took. Work experience is evaluated on the basis of the overview you submit, your resume, and any other documents highlighting the professional experience you have acquired. It may be impossible to ascertain equivalency after this initial analysis. In this case, you may be required to complete a skills assessment to determine the conditions for upgrading your skills. What if I disagree with the outcome of the equivalency process? Once you have received a decision on your equivalency application, you can, within 30 days, request that the decision be reviewed. To do this, you need to submit new information that could convince the Review Committee. This specially formed committee is made up of three members who are not part of the Admissions Committee or the Executive Committee. If you are still in disagreement once the review is complete, you can appeal to the Commissioner for complaints concerning mechanisms for the recognition of professional competence at Office des professions du Québec. The commissioner’s office examines complaints against professional orders regarding the recognition of professional competence, and makes recommendations it deems appropriate. Where can I go to fulfil the conditions required to obtain an equivalency? To obtain an equivalency in physical rehabilitation therapy, OPPQ requirements can be fulfilled at a college that offers a program in physical rehabilitation techniques (physiotherapy techniques). Currently, only Cégep Marie-Victorin offers a program reserved for applicants trained outside Quebec who have been asked to fulfil this requirement by OPPQ. For more details on how to apply for equivalency, please consult the Guide for applicants trained outside Canada looking to practice physiotherapy in Quebec (in french only). You can also download from the guide all the documents required to apply for equivalency. For any other questions, please email Uriel Pierre, the OPPQ Admissions Coordinator, at upierre@oppq.qc.ca. Can I get reimbursed for the application review fees or the skills assessment? The secretary and general manager of OPPQ will generally authorize the closure of a file and partial refund of the fees if the Admission Committee has not yet examined your application. The portion of the fees that are retained depends on how far along your application is in internal processing. Once the Admission Committee has finished examining it, fees cannot be refunded. Fees for the skills assessment are non-refundable. I would like to stop my equivalency process. What do I need to do to close my file? To close your file, you must send us an official request to this effect in a signed letter. Your documents will be returned to you. How long does it take to obtain my license (including my equivalency application)? The processing time varies depending on the application. An equivalency application will be processed within eight weeks once it has been analysed by the OPPQ admissions committee. This process can take longer if your skills need to be evaluated. Note that updating your skills could take up to 15 months. I would like to join the OPPQ. What membership category should I choose on the notice of assessment if I haven’t found a job yet? If you are looking for work, we suggest you choose the category “Regular member in the private/public sector” with OPPQ insurance. That way, you are free to work in the public or private sector. When renewing your annual contribution in February or March, you can choose the category that best reflects the type of job you have. There is no contribution category for temporary or part time work.The registration year starts on April 1 and ends on March 31 each year.